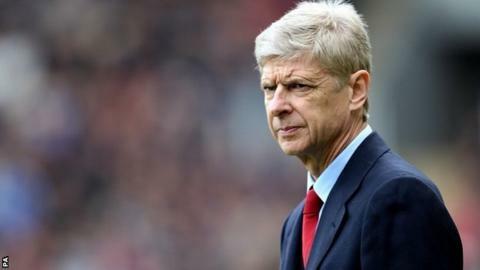 Arsenal manager Arsene Wenger says the long-term quality of coaching is under threat because of a high turnover of coaches. David Moyes was the 10th Premier League boss to be sacked this term, 10 months into the job at Manchester United. Wenger said the "unstable" nature of the job meant managers "hesitate" before taking a job. "If you want quality people in any job, you need to give them time to develop," said Wenger. David Moyes became the 10th manager to lose his job in the top-flight - the most casualties in one season since the beginning of the Premier League era. "[Coaches] need time to become good or people with the quality will not come into our job any more." Wenger, who has been with Arsenal since 1996, added: "The average (job life) expectancy at an English professional club, at the moment, is 11 months, and that is quite unstable. "Every guy who is married, has a family, will have a big hesitancy before he goes into that game. "That means the quality of the coaching and the quality of the managing is under threat." Wenger, whose side host Newcastle on Monday, has won three Premier League titles and four FA Cups during his 18 years in charge of Arsenal.